It is amazing to think that we are looking towards the end of the year. Where did the time go? 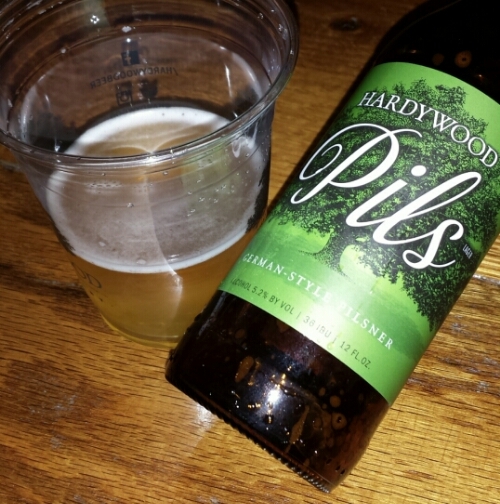 Hardywood has come a long way in three years. This year alone their distribution footprint has expanded west as far as Roanoke, north to Washington, D.C. and Philadelphia, and east to the Virginia Beach and Hampton Roads areas. Their new grain silos outside the warehouse will be put to good use keeping thirsty patrons satiated. You will have to wait until November 1st to try this at the brewery or you can get a sneak preview at Scott’s Addition Pumpkin Festival on Saturday. Pils will hit the market in draft and six packs starting November 3rd. Mattias Hagglund (Heritage): syrup of Virginia Cameo apples with lemon thyme and lemon zest. Jay Bayer (Saison): passion fruit and mosaic hops syrup that was also dry hopped with mosaic hops. The hops were boiled for 10 and 5 minutes for a bit of flavor and nose. I feel like there needs to be a #RVAdine Flight option to be able to enjoy all three syrups against the base. 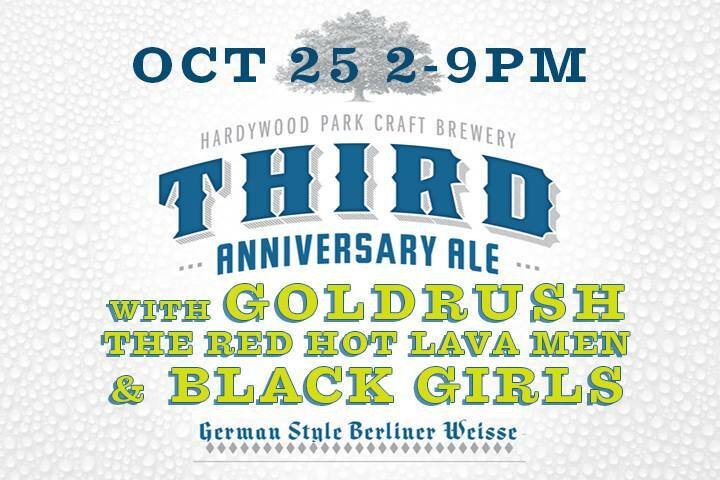 Live music will start at 5pm from The Red Hot Lava Men (pure surf), Goldrush (rock & roll music. Songs about stuff and beyond), and Black Girls (swaggering and seductive Motown rock). Check out the Facebook event for more information and updates then head out and raise a few glasses.